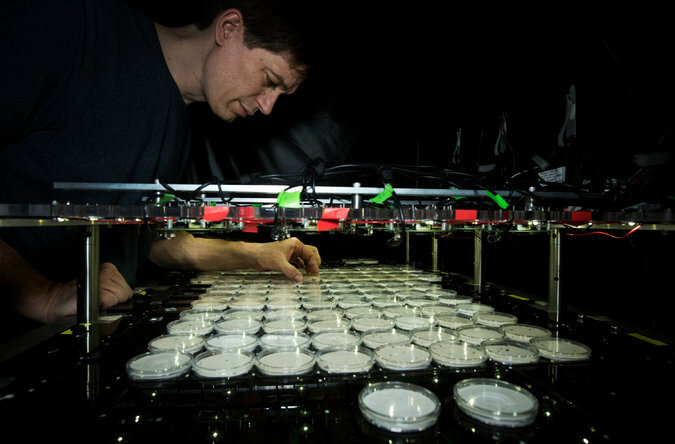 Dr. Daniel Kronauer, shown in a double exposure, above, studies ants with altered DNA in order to understand complex biological systems. 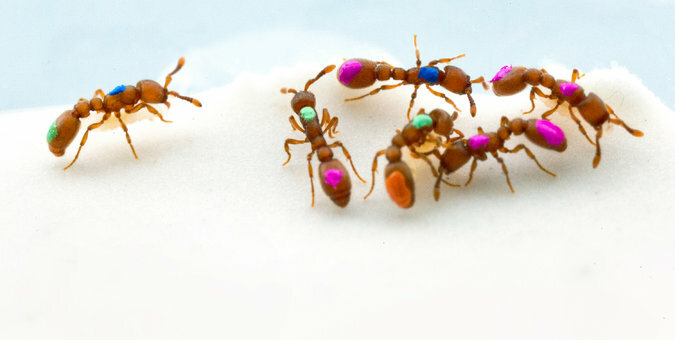 A color-coded system allows computers to track the ants’ movements 24 hours a day. 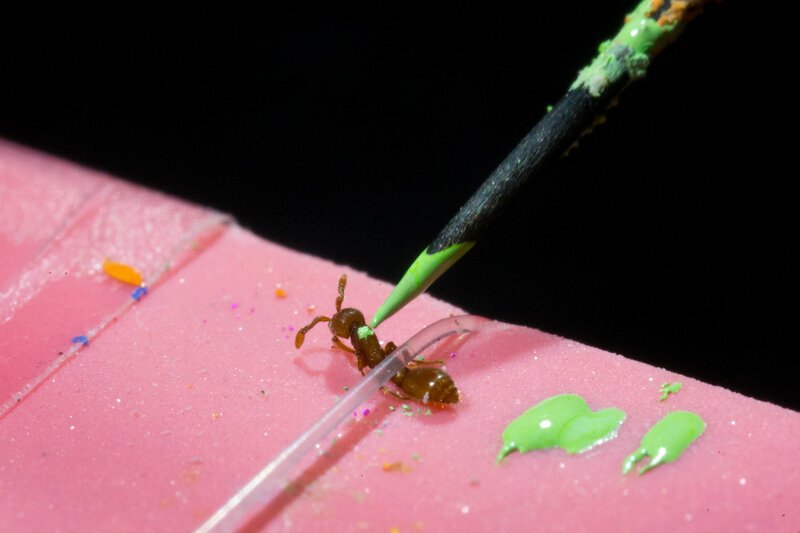 By using gene knockout techniques, the researchers made some raider ants display asocial behavior. Clonal raider ants are adaptable, which could make them a good laboratory workhorse. 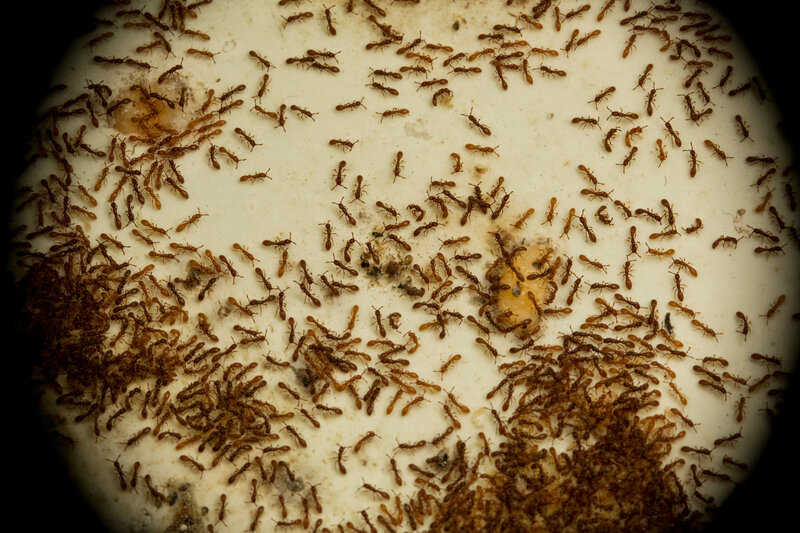 “Our ultimate goal is to have a fundamental understanding of how a complex biological system works,” Dr. Kronauer said of his work with ants.